Finally today, the Green Man comes out to join us. The Great Bear turned up and fell out twice, so we need to add him into the equation today as well. What do these pair have to offer to us today? One comes up at the Midsummer Solstice , the other is with us now, near to Yuletide. On a compass, this chap and his consort are to the north, with the Great Bear to the south. To me, this says to think of plans that will be coming to fruition in six months time. Six months might seem like a lifetime away, but I know in truth, it will be here before I have realised it, given the changes to my family life that is due around Imbolc. What fruits do I wish to harvest or pick out come late June time? 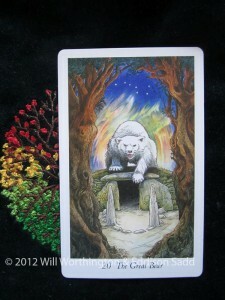 Now is the time to start thinking of them, to plan an outcome and the steps needing to be walked to achieve them. 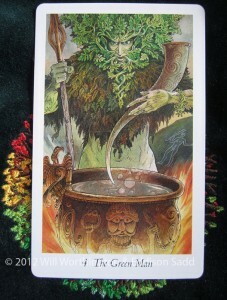 The Green Man is generous in bestowing his creative, fertile energy. What if that energy is coming now, rather than in late June? Or as well as in late June? The Green Man represents a time of giving and receiving of the natural flow of life, both inwardly and outwardly. 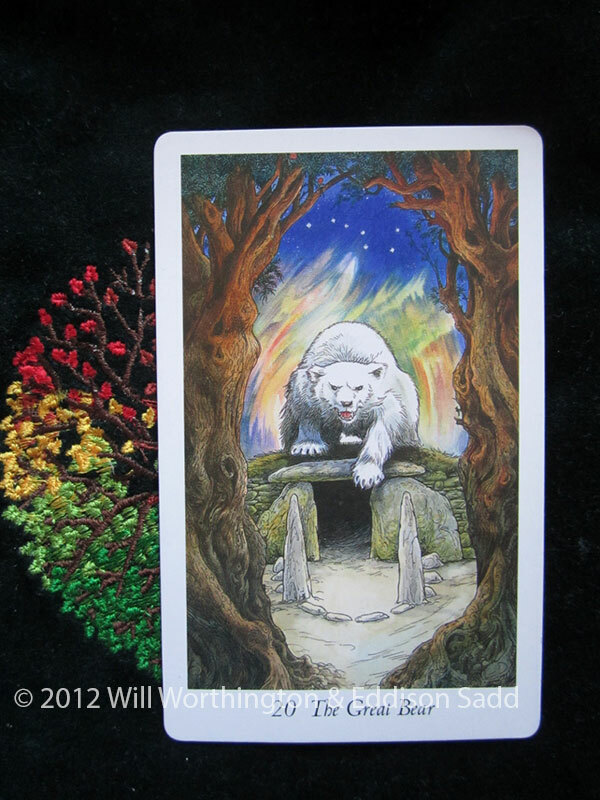 The Great Bear is more inwardly though, but the suggestion between these two to take the time now to come up with a new and thriving plan, project, relationships or even new ways of living your life and fulfilling your world. That can also (and for me, probably does include decorating!) be a suggestion to get projects finished off, put to bed before bigger changes come around. There’s a new cycle of life happening, it’s time to plan for it, enjoy it when it comes and until then, work on some plans!! Lots to think about, certainly some work to be done! I wonder if we’re polar opposites? Wouldn’t *that* be synchronistic?